This wallpaper pack is something special. 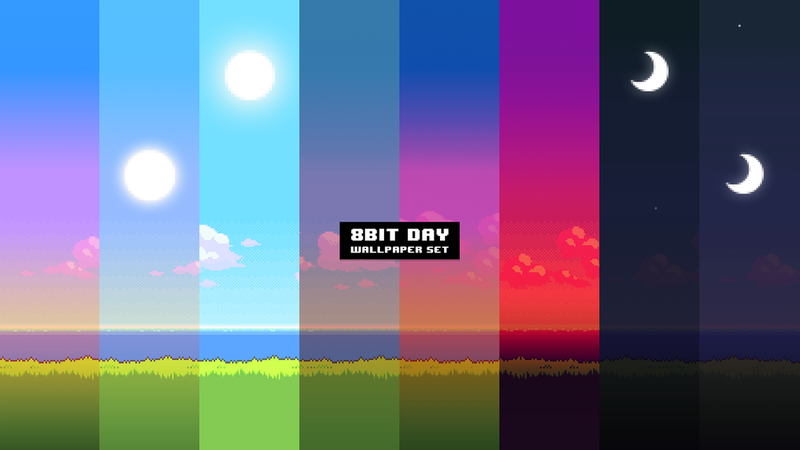 8 separate wallpapers corresponding to different times of the the day. The pack requires a simple set up–change the wallpapers to change at certain intervals–but once it's set, enjoy your bitmapped desktop all day long. Download the pack here.